Hosting for your jCore website that just works. We’ll even install jCore for you! We’ll move the existing jCore site! 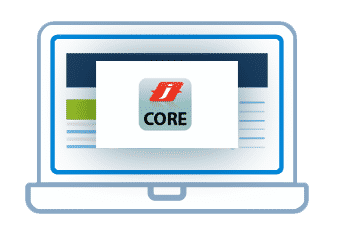 Softaculous auto-installer – Install jCore in just a few clicks. GD support – Needed for many jCore plugins. Zend and Ioncube support – Needed for some jCore plugins. 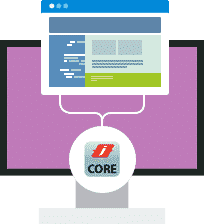 jCore is a free and open source content management system (CMS) written in PHP and distributed under the GNU General Public License. It can be used as a back-end system for many different types of websites, ranging from small personal blogs to large corporate sites with support for Multi Sites where you don’t want to update each site one by one but all at once. jCore is designed to be easy to install and set up even if you’re not an advanced user. Since it’s so easy to use, as a Web designer or developer, you can quickly build sites for your clients. Then, with a minimal amount of instruction, you can empower your clients to easily manage their own sites themselves. If your clients need specialized functionality, jCore is highly extensible. You can pick from the available modules or you can easily implement your own and besides this you have full access to the source using Partial Classes from where you can extend/limit the core system too.